The Citi group’s financial organization (Citibank, N.A.) is one of the largest banking groups in the world which have vast network all around the world. Citibank, N.A also made a significant impact in our banking sector. Because it posses a lot of diversified, modern, technology oriented and most customer friendly product. It can be said that Citibank, N.A is the pioneer in modern technology based banking service in Bangladesh. It was established in Chittagong in the year 2000. Being one of the most renowned in the banking industry, Citibank, N.A believes in creating a good image in the minds of its customer by providing high quality services, through its global network. There are 280000 employees managing 200 million customer accounts across six continents covering 104 countries. Citibank, N.A providing a lot of facilities and fast service in trade sector around the world through its large network and 136 year’s experience. Through its global expertise and local knowledge Citibank, N.A gaining market shares in Bangladesh faster. Though Citibank, N.A facing significant competition from its multinational peers. It is necessary for Citibank, N.A to find out the room to explore themes eliminating all its drawbacks and weak points. Because Citibank, N.A raising their target in every year to gain the highest market share in trade sector of Bangladesh beating their multinational peer. In my report I will try find process of foreign remittance and its collection method. Focus on different kinds of services that citiservice is doing frequently. More concentrated on Samba queries which related to foreign remittance where citiservice update the status of draft. In this report I try to measure best alternative to provide best services to the customer. To know the foreign remittance operation in a world class commercial bank. To get some knowledge about correspondent banking. To get some knowledge about beneficiary banking. Citigroup is the first financial services company to bring together banking, insurance and investments under the same name. It has 200 million customer accounts in 104 countries across six continents. It provides consumers, corporations, governments and institutions with a broad range of financial products and services, including consumer banking and credit, corporate and investment banking, insurance, securities brokerage and asset management. The global coverage of Citibank is divided into 4 geographic groups consisting of Latin America, Japan-Europe-North America (JENA), Eastern Europe-Middle East-Africa (EMEA) and Asia Pacific (ASPAC). Countries under EMEA and ASPAC region form the emerging market group of Citibank. Bangladesh is a part of the ASPAC region with 17 other countries and constitutes the highest growth region for the group as a whole. Before the merger took place in1998, Citicorp had a number of organizations under Citi of which Citibank constituted of 90% for the business. Owing to a banking rule that not more than 10% of deposits can be invested in equity, Citibank was restricted in such ventures. Citibank investment limited was there for equity investments other than these the group also included some other organizations: Citibank overseas software limited, files that served other than Citibank units, Citi Banking Corporation etc. The travelers group likewise had Salomon Smith Barney, prime Rica etc. that dealt with insurance, investment services etc. Citi bank has presence in more than 104 countries world wide. It delivers a wide array of banking lending and investment services to individual consumers, as well as to small businesses with up to $10 million in annual sales. Citibank offers a full range of financial services products to serve the needs of small and large corporations, governments, and institutional and individual investors. The financial center network of Citibank is wide and comprises of local Offices complemented by electronic delivery systems, including ATMs and the World Wide Web. Specific products and services include basic banking accounts, investment services through Citicorp investment services, citi term life insurance, citi phone banking, and citigold accounts, which integrate banking, borrowing and investing services. Client financial analysts are available in Citi’s financial centers. “Travelers” is a leading provider of a full range of insurance products and services. Through travelers, citi group has become the principal source of homeowners and auto insurance for consumers with more than 5.3 million police in force. Travelers commercial lines offer a broad range of insurance for commercial markets, including workers compensation integrated disability, property, liability, specially lines, surety bonds, inland/ocean marine, and boiler and machinery. Salomon Smith Barney counts among its client base affluent individual investors, smallto-mid-sized businesses, as well as large corporations, non-profit organizations and family foundations. Through its team of more than 12000 financial consultants in more than 500 offices, the firm services more than7.1 million client accounts representing nearly $1 trillion in client assets It is also one of the nation’s leading providers of defined benefit and defined contribution plans, as well as corporate stock plan services and administration. With more than 100000 full and part-time representatives, primerica is the largest financial services marketing organization in North America. Primerica offers consumers an array of financial services and products, Including term life insurance underwritten by Primerica life. The company also markets other Citigroup products, including Smith Barney mutual funds, Travelers Insurance company annuities, and Citi financial loans and mortgages. Clients first, provide superior advice, products and services and always act with the highest level of integrity. Put Citigroup long-term interests ahead of short term gains provide superior results for its shareholders respect the local culture and take an active role in the communities. A merit approach to recruitment/selection/promotion. The promotion of good environment to the welfare and development of each local community. Citibank, N.A. started its operation in Bangladesh in 1987 with a small representative office. Then the bank performed limited correspondent banking, L/C confirmation and credit appraisal for Citibank offices in Hong Kong, Singapore and India. Citibank’s operations encompass Corporate Banking, Global Transaction Services, Financial Institutions and Sales and Trading (Treasury) under the Global Corporate and Investment Banking (CIB) umbrella. Other departments, which can be termed as support, are Operations and Technology, Credit Administration, Financial Control, Human Resource and Compliance. The corporate banking unit offers one-stop solution combining lending and advisory services, treasury, cash management, trade services and structures finance to meet the specialized requirements of the customers. The three units within the corporate banking group are Top Tier Local Corporate (TTLC), Global relationship Banking (GRB) and Structured Finance. GRB managers deal with the multinational companies in Bangladesh with whom Citibank has global relationship. TTLC managers’ bank with Bangladeshi incorporated companies considered to have sound business proposition with a proven track record of growth. The industries of focus in this segment are pharmaceuticals, electronics, distribution, textiles and apparels, consumer goods, steel and high value commodities. Structured Finance offers Export and Agency Financing (EAF), Infrastructure and Energy Financing (IEF) and Syndication facilities. The trade services offered by the bank has an advantage of large global correspondence network, but its restriction of US trade laws limit its market by every new US trade sanction issued by the US Government which is in most cases not in line with Bangladeshi trade scenario. But the other three services are really unique features of Citibank, N.A. Bangladesh. The Cash Management service it offers. This bank claims to be the pioneer in this service in Bangladesh as well as the world. Cash management services basically offer clients with sales collection and payment management solution. This provides businesses with structured liquidity and in essence cost savings generated from less interest payment on credit line. The electronic banking platform of Citibank is very unique because, in all the online banking services offered by both local and foreign banks in Bangladesh; this is the most integrated system. This platform can practically eliminate the need for manual client instructions related to fund transfer, payment initiation and balance enquiry. But, this application could not be utilized to the full because of Bangladesh Bank regulations. Bangladesh bank rules still does not recognize any form of digital approval or signature as valid for banking transaction in the Bangladeshi judiciary system. Agency and Trust is another exclusive client service of Citibank N.A. that facilitates various types of complex financing solutions. This platform is sued to facilitate large cross-border investment deals. With this product solution Citibank has financed or organized syndication for the set-up of all major telecommunication deals of Bangladesh which include names like GrameenPhone and Telekom Malaysia International. The Financial Institutions (FI) department caters to the needs of various banks and nonbank financial institutions. The target market of this department also includes NGOs, Not-for-profit organizations and diplomatic missions. The core product is the correspondent banking services. It also offers various electronic banking services enabling FI clients to perform large domestic and international transactions with proper efficiency and security. Other support departments are not front end operation of the bank but they provide the real backbone of offering the unique service that the bank claims to be its signature trait. Within the support team most important is the operations department of the bank where the total service level promised to customers are determined. Abide by all applicable US laws in terms of trade services, banking relationship and money laundering. Abide by all Bangladesh bank rules because law of the land of operation is surpassing. Compliance department strives to comply with all these applicable regulatory “must dos” through its vigilance because any violation of any of the governing may result in banking license cancellation. Strategically the branches mainly provide services to top tier corporate clients and bank branches for corresponding banking services. The bank recently has embarked on rolling out consumer banking and aiming to launch the same by 1st quarter 2003. Presently the branch has extended credit facility to few clients in ready made garments (RMG) sector, trading houses and industrial conglomerates. The bank is fully geared to expand its business in Chittagong in the near future. The vendor marketing program (VMP) offers trade services and financing to qualified vendor who export to reputed international buyers. Main Product offerings are short-term trade related facilities for pre-export and post- export financing required by vendors for achieving efficiencies in their trade flow cycle. In order to qualify for participation, vendors must be an exporter of garments to reputed international buyers in USA, Europe and Asian regions subject to citi bank Bangladesh’s acceptance criteria. Structured Finance deals specific area like Export & Agency Finance (EAF), Infrastructure & Energy Finance (IEF), Syndication etc. by combining world class investment banking and commercial banking services. Drawing on its global expertise, Citibank offers to its customers a full range of customized financial solutions. Citigroup brings cash management solutions unrivalled among banks. No one else has the global capabilities and nor provide tailored to meet clients specific requirement. Citi is highly attuned to clients needs and responsive in its actions. To stay ahead of the competition, client’s choice clear –make the change to citi group and start reaping the benefits right away. No one is better positioned than Citigroup to develop effective cash management solutions in Bangladesh. Citigroup’s receivable management solutions use various collection channels to collect its client’s receivables quickly and at reduced cost, delivering customer information through variety of reports using secure online banking platform. Citigroup’s speedcollect helps clients collect and manage local receivables across Bangladesh in simple and efficient way for better control and cash flows. Citigroup’s payable management solutions improve productivity, security and control across client entire payments processing. Citigroup has the strength and vision to address its client’s payments requirements both now and into the future. Paylink offer a secure, efficient and flexible solution for managing domestic local currency payments. With ContiGroup’s comprehensive payable management solutions, customer can outsource all non-core payments processes and free up skilled to focus on business development. Citibank leverages its global network and world –class technology to bring in remittances by non- resident Bangladeshis from overseas in a fast and reliable way and delivering the drafts in Bangladesh through dedicated courier network. Citibank has dedicated remittance professionals and customer service lines to answer queries of customer. Customer can carry out all his/her banking operations from anywhere around the world with your connectivity to CitiDirect online banking of Citibank. It has award winning, web –based delivery platform which is recognized worldwide in over 100 countries. The operation in this platform is flexible, secure, and cost effective with a capability to take care of all customers needs. CitiDirect online banking is a complete package for clients managing cash collection and payment related transaction. It covers the process of payment from beginning –to end as creation of payment instruction and authorization of the instruction which reaches Citibank’s end instantly for processing. In today’s world of decentralized operations, this web platform offers the facility of remote authorization from any location. CitiDirect helps for account reconciliation where clients get the real time account statement. Citi service is an integrated customer inquiry unit dedicated to providing customer easy access to accurate answers in the shortest possible time. Presently client delivery service is responsible for all after sales queries received from Citi’s FI, corporate, trade & cash management, service management and relentless service-delivery. At Citiservice it has been a constant endeavor value –added service for its esteemed clients. GTS team of service oriented personnel is providing with speedy and accurate query resolution. Here every officer is conscious of the importance of timely delivery of information to clients. Since Citibank N.A inauguration in Bangladesh in 2002 Citiservice has covered wide range of areas and has become a single point of contact for FI/corporate clients. Citiservice uses Citi’s web based query tracking system and all client queries are promptly answered and escalated if needed for resolution. Outstanding ageing items are regularly monitored. Citiservice professionals conduct regular service reviews with premium clients to anticipate service issues and ensure full client satisfaction. Citiservice covers all Citibank products. Citiservice representatives resolve enquiries in 1 day. Powerful technological infrastructure supporting Citiservice including multitasked environment, access to bank applications, internal messaging system and fax gateway, automatic call distribution system and automated query handling systems. Structured service reviews with customers. Structured and formal relationship with its internal suppliers assuring 100% of standards accomplishment. Citiservice is equipped with adequate number of telephone, facsimile lines and have employed dedicated staff trained with complete knowledge of all products & services. Citiservice officer represents a team of experts brought together expressly to offer clients centralized service. These Citibank specialists have all made a commitment to handle client’s investigations or solve the problems with optimum speed and maximum efficiency. Citibank N.A is using citi remittance management system (CSRM) software to maintain the whole activities of foreign remittance, where they get those remittances only from Saudi American bank (SAMBA), Saudi Arab. This remittance comes in Bangladesh by the name of speed cash. Citibank sent those funds directly to beneficiary account. Most of the case they are bound to transfer the fund within 3 (three) days. But due to poor communication of our country as well as poor facilities of bank sometimes it takes too much time to credit the fund beneficiary account. Whenever these processes take times the tension for fund grew to remitter & beneficiary. Remitters claim to SAMBA not to credit the fund. Accordingly SAMBA giving queries to Citibank N.A Bangladesh and ask for instant reply. These queries come in Bangladesh Citibank N.A through Citi remittance management system (CMRS) where they sent daily tracer with some queries, moreover in case of emergency they sent e-mail or phone to Citibank Bangladesh. One thing is mention that all the SAMBA queries are solved by the Citibank N.A Chittagong branch. Here everyday citiservice need to download the tracer request and communicate with relevant parties to solve the problems. Moreover update the draft status in CRMS or reply the draft status to remitter, beneficiary and SAMBA by phone or e-mail. Most of the case fund credited in due time. But some times fund is not credited due to beneficiary bank lost the draft, or holds the draft at their end or sent the draft for collection. However if the beneficiary bank situated in the clearing zone than it takes maximum 2-3 days , band outside the clearing zone it takes 10-12 days depends on communication system . To fast this system Citibank N.A open so many accounts in outside the clearing zone bank which known as correspondent bank. Now Citibank N.A using Four banks as a correspondent bank. They are Sonali bank, Agrani Bank, Islami bank Bangladesh ltd., and AB Bank ltd.
All the draft sent to beneficiary bank through Citibank N.A courier- One Express Ltd, Where courier delivery the draft with in 3 days or 72 hours. But some times it takes more time because of poor communication of our country. If beneficiary bank deny to receipt after delivery draft then citiservice sent them Proof of delivery (POD-sample copy given appendix) copy, Where as beneficiary bank officer gave signature and date. Accordingly beneficiary bank (drawee bank) credit the fund to beneficiary account. In Citi remittance management system (CRMS) service manager need to lock whole queries within a day. But whenever any call came to me, usually I took 1 hour to reply the query, any kinds of e-mail queries also solved by one day. If number of queries increases than it took time to solve the problems but it is not more than two days. Citi bank N.A maintains 4 types of account for its clients. However Citibank only focus on corporate account rather than personal account. They have no fixed amount of interest rate, charges, they fixed it by negotiating with the customer that we called the customer focus based pricing. Every year they update the status of account, through doing e-cadd. Moreover they introduce SMS alert, e-banking, online services, e-mail facilities for customer benefits. In a word they want to offer best service to its customer. If customer found any problem in balance sheet, citiservice solve the problems by taking correction, reconciliation, or give proper reason. Moreover sometimes customer needs bank certificate, solvency certificate, this time citiservice provide these types of services for its customer. Straightforward requests for information, such as balance or statement inquiries, will be answered immediately. More complex requests, such as transactions & requests for action or investigations will be answered within standardized time frames (As per the nature of the enquiry). Citiservice provide the loan and advice statement to its all customers. Whenever customer needs it they send a mail or phone to citiservice, Citiservice response the queries with authorized person through email, fax or phone as early as possible. In the remitter part citiservice face problems vigorously. Where remitter always phone and told where is my fund. Most of the remitters are not well educated so it was so tough for citiservice to understand the problems. Moreover remitters even don’t know what draft is. When we reply them that draft send to beneficiary bank, they actually thought that money sent to their bank. But there is a step of collection or correspondent bank which they don’t want to understand. The main problems of this job are repetition of the queries, and reporting it different end for example: reports to SAMBA, Remitter, Beneficiary as well as update the CRMS System which is so complicated. Whole works are done by the only one person. So it is hazardous for a person to solve lots of queries as well as provide corporate services alone. It is one of the objectives of the reports to point out the problems of Citibank especially in citiservice and recommend possible solutions for those problems. Discussing the problems with local bank officials as well as Citibank officials develops these recommendations. However, the effectiveness and acceptability of these recommendations depend on the approach of Citibank. It means whether Citibank wants to be the major shareholder in correspondent banking market of Chittagong by adopting an aggressive approach or whether it wants to be moderate shareholders by adopting a conservative approach. Whatever be the approach Citibank should rethink about customer satisfaction. The following recommendations will be effective if wants to be the market leader like what SCB is at present in corporate service. We have seen that Citibank’s competitive advantages are prompt service, technological advancement and a very good international network. . Despite that it has failed to capture major portion of market share. At present SCB is the major shareholder in Corporate Banking market and its competitive advantages are flexible service, better communication flow, ability of representatives, better training programs etc. The comparison of competitive advantages between SCB and Citibank indicates that has occupied major shares for its ineffective competitive advantages in correspondent banking. Citibank should restructure its competitive advantages by focusing more into what the clients prefer most for a Corporate Banking. According to our survey, flexibility of service is the mostly preferred factor. The arrangement of services should be more flexible .Now question is to what extent it should be flexible. There are certain rules and regulations regarding Corporate Banking services, which are strictly maintained in Citibank. For example, no Advance confirmation is given if the L/C exceeds the credit limit. There are many other cases where Citibank is inflexible. This inflexibility affects customer preferences. When Citibank refuses a local bank for an Ad confirmation due to inadequate credit limit, it goes to another Corporate Bank such as Standard Chartered Bank. If SCB accepts that offer, naturally a sense of privilege develops in favor of SCB by the local bank. After that if the local bank have to do any further Ad confirmation its first preference will be SCB although it does not cross the credit line of Citibank. It is just because of flexible service of SCB. Thus Citibank should redesign their operating policies in such a way that can ensure customer satisfaction. As well known Citiservice is based on a broad network over various countries. In the processing of a Correspondent Banking service there are two parts of Citibank involved here. One is the Bangladesh part from where it is processed and the other is that country’s part to which it is processed. It can be New York, London, Hong Kong, and Tokyo etc. It depends on where the L/C is being advised. So the other side is not cooperative it would be difficult to provide information about query and investigation of the customers. As the Citibank Chittagong branch covers a very small portion of whole Citibank business, it is given less attention. For this reason, any query and investigation of customers takes longer time to be replied from the other side. So, a clear and uniform regulation should be made for FI operation throughout all branches, which will ensure proper communication flow. Presently Citibank N.A using only one courier to delivery its all kinds of speed cash instruments. It would be better to appoint different courier for different area. So that whole process will be more flexible. Citibank N.A introduced gradually development in banking system particularly, commercial banks and private banks. Main emphasis of the report is “Client delivery service in Citibank N.A experience from SAMBA Queries”. This study covers the following aspects of foreign remittance of a commercial-foreign bank. Saudi American bank was establishing on 1980 by the Royal Decree, to take over the existing branches of Citibank, N.A. in Jeddah and Riyadh. Samba was formed in accordance with a program adopted by the Kingdom in the mid-1970s, under which all foreign banks were required to sell majority equity interests to Saudi nationals. Citibank acquired 40% of the equity in exchange for assets of its Riyadh and Jeddah branches. 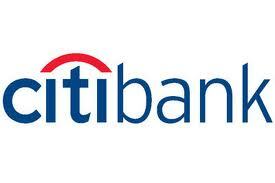 Citibank entered into a Technical Management Agreement under which it agreed to manage the new bank. This agreement provided that Citibank would second staff to the new bank and provide technical support and that it would not receive compensation for these services other than as a shareholder. End of 1991, Citibank sold part of its equity ownership in Samba to two Saudi national agencies for social welfare. As a result, 70% of the share capital of Samba was held by Saudi nationals and institutions while Citibank retained 30% ownership of the share capital of Samba. On July 3, 1999, Samba merged with the United Saudi Bank. The merged bank retained Samba name and there was no change in the composition of the Board of Directors. The merger did not affect the Technical Management Agreement with Citibank. This resulted in Citibank holding 22.83% of the merged bank shares. However end of 2002, Citibank sold 2.83% of its shareholding to a Saudi agency. As a result citi bank held 20% of the share capital of Samba. On May 26, 2004, Citibank sold its 20% share capital to a Saudi agency. Samba was the first Bank to offer Priority Banking, Phone Banking, Credit Shield, Saving Linked Insurance, and Cash Deposit through ATMs, Speed Cash Remittance Service and Automated Signature Verification. It was also the first bank to establish a dedicated Investment Department, introduced the first local equity fund and the first fund, (SAIF), open to overseas investors and listed on the London Security Exchange. Samba sent their remittance to Bangladesh Citibank N.A through 33 branches. The sender of the remittance is Bangladeshi worker .To sent remittance they need to open an account in Samba bank, and bank give them remitter account number (RAN). Whenever they send remittance samba give them a 17 digit remitter reference which help to identify the relevant information on foreign remittance. As per SAMBA instruction Citibank N.A Dhaka issue the draft in favor of beneficiary account. Correspondent banking is also known as a relationship between a small bank and a big bank in which the big bank provides a number of deposit, lending, and other services. These types of account is called as nostro or vostro account; established by a domestic banking institution to receive deposits from, make payments on behalf of, or handle other financial transactions for a foreign financial institution. This allows foreign banks to conduct business and provide services to their clients without the expense of a physical presence. As a foreign bank Citibank N.A has four correspondent banks among them it has total 845 branches correspondent accounts. Sonali Bank is a state-owned commercial bank in Bangladesh. It is the largest bank of the country. Sonali Bank has a total of 1297 branches. Out of them, 488 are located in urban areas, 696 in rural areas, and 2 are located overseas. It also operates the Sonali Exchange Company Inc. in USA and Sonali Bank (UK) Ltd., United Kingdom, to facilitate foreign exchange remittances. Citibank N.A using more than 500 branches as a correspondent banking unit or maintain nostro account. Agrani Bank is a state-owned commercial bank of Bangladesh established in 1972. Agrani Bank Limited is a leading commercial bank with 867 outlets strategically located in almost all the commercial areas throughout Bangladesh, overseas Exchange Houses and hundreds of overseas Correspondents. Citibank N.A maintains more than 250 nostro account in Agrani Bank different branches all over the Bangladesh. AB Bank Limited, the first private sector bank was incorporated in Bangladesh on 31st December 1981 as Arab Bangladesh Bank Limited and started its operation with effect from April 12, 1982. AB Bank Limited has opened 77 Branches in different Business Centers of the country, one foreign Branch in Mumbai, India and also established a wholly owned Subsidiary Finance Company in Hong Kong in the name of AB International Finance Limited. Citibank N.A maintains app 35 nostro accounts in AB bank in different branches especially in Comilla, Hobigonj, and Narayanganj. Islami Bank Bangladesh Limited introduced unconventional way of banking business in Bangladesh. The establishment of Islami Bank Bangladesh Limited is on March 13, 1983. Most of the branches have online facility so that they can easily credit the fund quickly. It has more than 500 branches in Bangladesh. Citibank N.A maintains app 60 nostro accounts in Islami Bank Bangladesh ltd (IBBL) in different branches. Citibank N.A use various communication media to faster its services. Basically they use below five postal media to send their document. Most of the times they prefer private and more secure postal system to send documents. Based on different purpose they use different media. For example: For foreign remittance purpose they use Express One Ltd. And other purpose like to send LC documents, different kinds of cheque book, statement, and other foreign document they send through DHL. Express One Ltd. is bound to deliver all kinds of foreign draft to beneficiary address or beneficiary bank within three days (being late some areas are considerable due to poor communication like: Barisal, sandwip, Hobigonj, etc). Most of the foreign drafts send to beneficiary bank. Sometimes draft send to beneficiary address, in this case beneficiary deposit it in his/her account. Later beneficiary bank collection the fund and credit the fund to beneficiary account accordingly. In our country all the state owned banks are not automated. So its collection process as well as keeping accounts system still in note book systems. Moreover the overall infrastructures of the banks are not satisfactory to its customer. If the banking system is in online then fund transfer easily can be possible. Government Postal system in our country is not efficient. GPO delay to deliver the postal documents so that day by day it losses its image as well as trust. Only some private courier service deliver their postal with in due time. Citi bank N.A always provides their document by express one ltd. and DHL. Our transportation system as well as communication system is not well developed. So it takes time to deliver the document to other end. All related draft which is come from samba is issued by Citibank N.A Dhaka Motijheel Branch. Speed cash draft issued in favor of beneficiary bank and safe draft directly sent to beneficiary address. After issuing draft if any problems are found by the remitter, beneficiary, beneficiary bank, or correspondent bank then they call or mail to citiservice. Everyday I need download the tracer request (form given in appendix), where samba provide us some queries with request code. Accordingly I opened speed cash remittance acknowledge page to see the draft status. One thing is mention that all the SAMBA queries are solved by the Citibank N.A Chittagong branch. As a service assistant I need to communicate with relevant parties to solve the problems. Here two cases, related to foreign remittance are given below which were solved by the citiservice. Mr. “x” sent remittance from Samba on April 05, 2010 to Mr “Y”. Mr X sent a query to citiservice Bangladesh on 15th of April using code 401(fund yet to credit). The amount of the draft was 5 lac and beneficiary bank address was SCB Dhanmondi-2 branch. This bank is under the clearing zone and need to credit the fund with in April 8, because draft received by SCB on April 6 but 10 days passed fund yet to credit beneficiary account. Then I was called to SCB foreign remittance and told them draft particulars but remittance department of SCB did not respond properly. They told if Citibank sent draft and we (SCB) received that draft than SCB must credit the fund accordingly. But he did not check Mr. Y account. After that I was phoned to encashment department to check whether the fund Ancash or not, Where I found fund yet to Ancash. Again I called to SCB clearing branch which is Motijheel branch, they told that they did not found such draft from Dhanmondi -2 SCB branch. After confirming all issues, I sent POD (proof of delivery) copy by FAX. While they found the draft they search the draft but did not found. And later they called to us and told they lost the draft. I told them to send a GD copy to reissue the draft. After getting the GD copy, Citibank N.A reissues the draft and fund was credited accordingly on 25th of April. By this time beneficiary called to us and confirmed the draft status. He also complains against the officer who lost the draft. Mr. “x” sent remittance to Mrs. “y” on 10th February from samba bank, accordingly Dhaka Citibank N.A issued the draft on 11th February to beneficiary bank (BRAC Bank, Rangunia branch- Chittagong). BRAC Bank rangunia found name and account number differ that means no account holder such name in their bank. In the advice copy beneficiary phone number was mentioned so BRAC bank called to beneficiary and handover the draft to them. Beneficiary bought the draft to Chittagong branch to cash the draft, but this draft only payable to the account. However she sent it to Saudi Arab Mr. “X”(remitter). Then a query came from Samba bank to confirm them that draft status. I was replied them beneficiary name and account number differ & sent us correct beneficiary information. By this time we instructed Brac bank rangunia to get back the draft. But this time beneficiary denied to give that draft. She thought Brac bank officer withdrawn the money and they won’t get it. After I assured the beneficiary, they gave it to Brac bank & accordingly Brac bank sent the draft to Citibank Motijheel branch. Actually beneficiary has no account in BRAC Bank. She has an account in BRAC (NGO). By this time the validity of the draft was over, so the fund back to Samba bank 15th of April 2010. Every draft valid for 60 days , if the fund remain uncollected by this time then fund automatically return to samba bank. Again 20th April beneficiary called to me and asked for her fund. I told her the fate of draft and instructed the remitter to withdraw the fund from samba bank. Most of the case fund already credited or draft yet to delivery, or in the collection process. There are so many errors in account number, so draft hold at Bangladesh Citibank N.A end. Sometimes error is found in advice copy, where beneficiary bank address wrong or not clarified. There are also errors in spelling in beneficiary name or one digit of account number missing that case draft back to Citibank end from beneficiary bank. Citi bank N.A holds those drafts until correction message come from samba. Verbal instruction is not allowed in this process, everything must be written and documented. In the samba queries some parties play important role like: express one ltd. they deliver the draft as well as give the draft delivery status in the CRMS. Express one ltd also sends pod copy to citiservice, when beneficiary bank deny receipt draft. In case of emergency they take care of send (deliver) draft on emergency. Another party is beneficiary bank, if it is out of clearing zone then it need to collect the money from correspondent bank. This time if drawee bank sent those draft by GPO, it takes too much time to collect the fund. However Citibank instruct them to take phone advice and credit the fund as early as possible. Another important party is correspondent bank, where they need encashment slip which citiservice arrange for sending it. Sometimes before encashment correspondent bank phone to citiservice and confirmed the draft status. Foreign remittance is now leading income source of our country. But this process is not being efficient until our communication system is developed, and banking system is online. Overall our banking infrastructure is not well equipped both physical and human resource. From the analysis part we can see that most of the queries come to Citibank N.A due to not deliver the draft on time. If the delivery system as well as banking collection process is not efficient than the actual benefit from the foreign remittance cannot be achieved. For that reason Remitter looks for the illegal way (hondi) to send their money. In speed cash maximum 10 lac BD taka can be send, to send more than 10 lac then Samba need to mail confirmation. Overall people who are using samba speed cash, day by day they are losing their interest due to not credit the fund on time. So Citibank N.A should focus on delivery system as well as open more correspondent accounts (nostro account). Citibank N.A brings to a simple and convenient way to mange clients everyday banking needs. Citiservice is among them a unique service department where they always try to provide customer desire services. They provide both corporate, FI, foreign remittance, internet banking, implementation etc services. Sometimes citiservice officer go to corporate client office to negotiate and to know their expected services. Its modern technologies and international network help to take competitive advantage over the competitors.